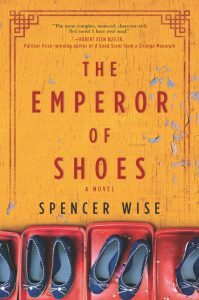 Set in contemporary South China, The Emperor of Shoes is about a young Jewish Bostonian preparing to take over his family’s shoe business. But he ends up falling in love with a factory worker who may or may not be using him as a pawn to start a pro-democratic revolution in the factory. What kind of research did it take to write this novel and what inspired you to take on the project? Like most Jewish novels, this one starts with guilt. My family has been in the shoe business for five generations, and it ends with me. Though it was my choice, I feel guilty for ending this lineage that in so many ways defines me. So, I wanted to connect to what my father and grandfather and great-grandfather knew about this ancient art of shoemaking. I began writing early drafts of the novel in graduate school at UT, where I began developing the characters while studying under such great writers and teachers as Elizabeth Harris, Oscar Casares, Pete LaSalle and Jim Magnuson. In the summer of 2014, I did a real apprenticeship, learning every facet of the shoe business while living in the dormitory of a shoe factory in South China. I interviewed many of the workers and made a few deep friendships with younger supervisors who showed me the inner-workings of the factory. Some were even generous enough to invite me to their homes to meet their families. Before doing research in China, did you know where the story was going? It’s easy to forget the real people behind our clothes, our shoes, our furniture. So, I wanted to make their stories visible. I’d like to think that’s one of the ways we develop empathy. When I started researching, I was surprised to find that two ancient cultures — Jewish and Chinese — shared this pervasive sense of family as something that’s nurturing and wonderful; and yet, at the same, a yoke or burden, some claustrophobic thing one can’t escape from. But I didn’t have any clue what the plot was about when I first got to China. The young Chinese people I met were immensely proud of their country and heritage, but showed surprising dissatisfaction toward the Chinese government, its corrupt, hypocritical system and the widening income gap. They seemed angry enough to do something about it. How do you feel about The New York Times calling it a novel for “our times”? It’s an honor to be recognized on that scale as an author, but I also think the issues in the book — cultural clashes, globalization, migrant labor, activism — have been relevant for a long, long time. I think when Trump was elected with such a divisive agenda, these issues were thrust into the spotlight, which was lucky for me. But the novel is about a world that’s always been here. One that we mostly choose not to look at it in order to maintain a comfortable quality of life. To what extent is this book meant to be politically provocative? Well, certainly it’s a critique of global capitalism and whether or not it can ever be done ethically. 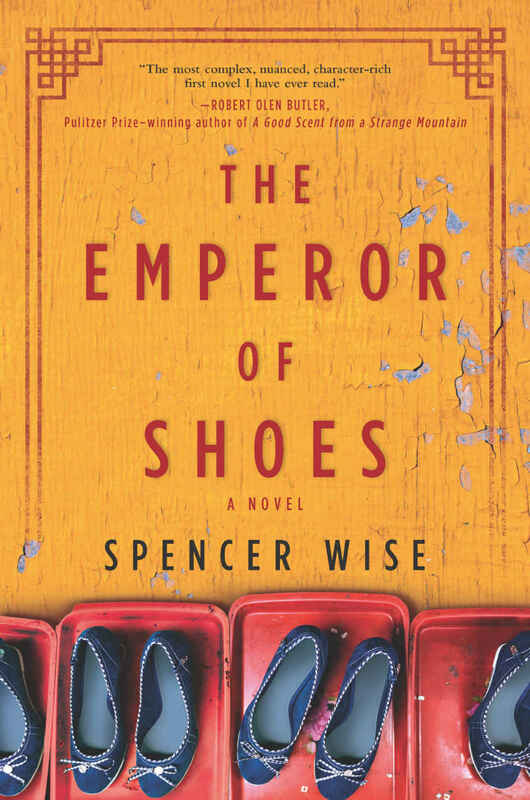 But it’s also a book about family business and shoemaking as an art form. When I was writing it, I just wanted to tell the most honest and urgent story I could. More than anything, it’s a novel about two real people yearning to find their own identities in face of serious obstacles wrapped up in old traditions and heritage and family. How much of that can you lose — as you see in hyper-capitalistic China or in the attenuating levels of religiosity among Jews — before we forget who we are? I don’t have an answer, by the way. I like what Chekov said about “Anna Karenina:” “The job of the novelist is to ask questions, not answer them. Tolstoy asks them beautifully.” I’ve paraphrased, I think. Though the Dad could be seen as “the evil capitalist boss,” I was surprised to find myself having compassion for him. The family are self-made immigrants who suffered and worked tremendously hard to achieve the American dream. 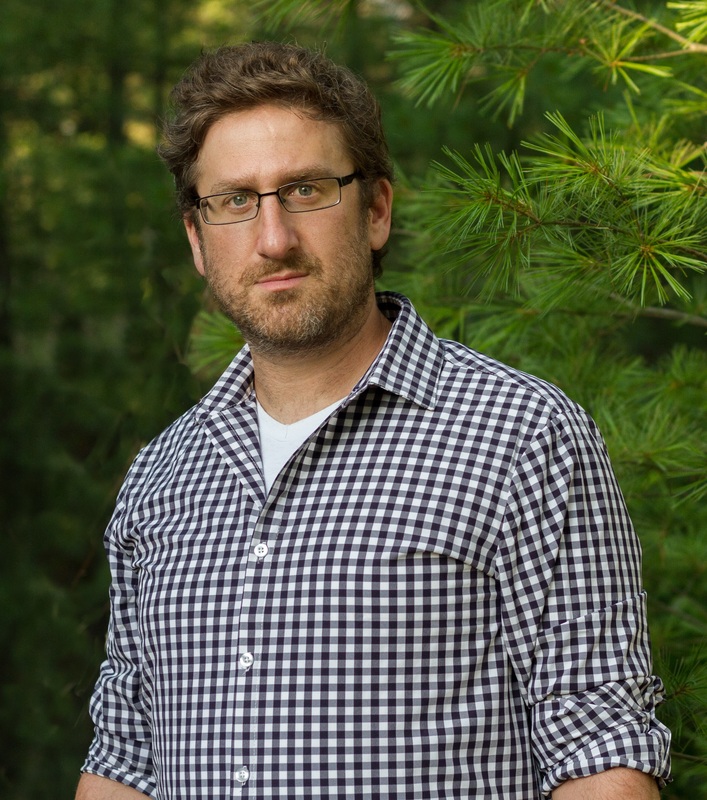 At the same time, I was deeply troubled by the idea that a Jewish family — like my own — who have been subject to such persecution and discrimination in the past only to turn around and exploit migrant workers in China. In reality, the factory managers and owners still work 16-hour days. Their lives aren’t very glamorous. So, I think the book portrays the universal human struggle to make a living and support your family by any means necessary. While in China, I noticed that many business people abroad succumb to their exhaustion and inability to speak the langue by hiding in their hotels — a choice that is, I think, subconsciously necessary to create distance between “us” and “them” that makes their jobs possible. It certainly seems quite true-to-life. Is it at all autobiographical? No, no. Not at all! It is funny, but I’ve been asked this question before. I guess I should take it as a compliment that it feels so real. I worked hard to craft characters that the audience would care about: Complex people facing complex problems. That was my aim. But nothing in this novel happened to me. My father is nothing like the dad in the book. And I never tried to take over my family business.